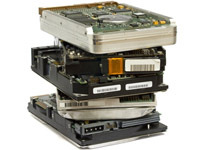 AES offers full lifecycle services for hard discs and drives. 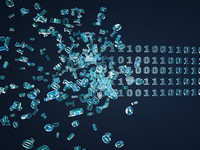 Whether your goal is data recovery, duplication, eradication or destruction, the AES solution features chain of custody documentation and auditable reports. Please click on any offering below to learn more. When you need to duplicate large quantities of your critical hard discs, AES can provide a complete service including labeling and packaging. AES has the ability to remove the information from hard drives and media using DOD certified erasure software for the ultimate in information security. 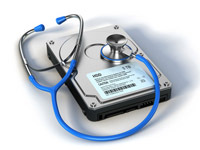 This service be performed both onsite and offsite and allows for reuse of the drives. 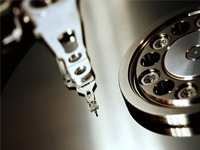 Offsite physical destruction of drives by shredding, for the ultimate in information security. We can assist in the scanning of serial numbers, packing, and transportation of material by our experienced inhouse staff. Onsite destruction of hard drives means the drives never leaves your sight. 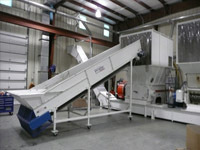 A shredding truck with arrive onsite and destroy your drives before they leave the campus. Our technology and expertise assure our clients that they are in compliance with legislation such as Sarbanes-Oxley, HIPAA, HITECH, Red Flags, Grahm-Leach-Bliley.